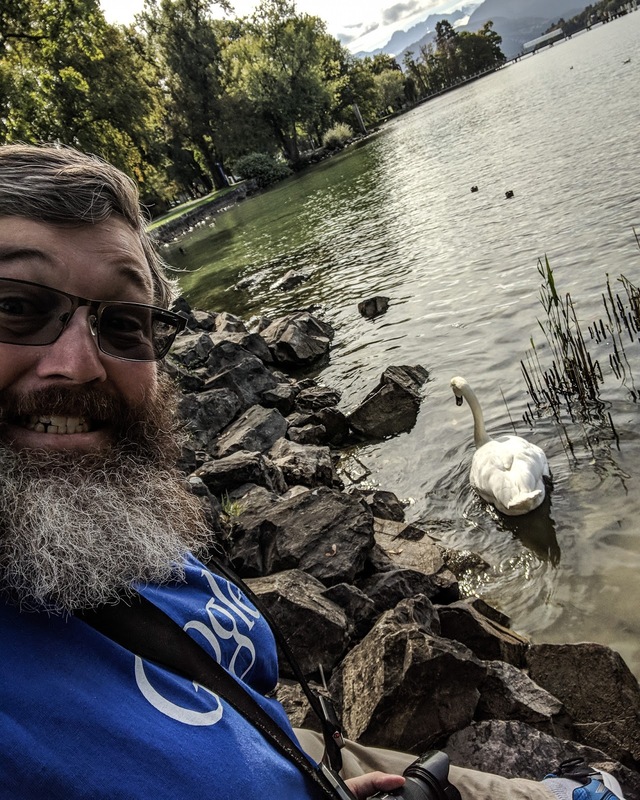 So there I was in Lucerne Switzerland, walking along Lake Lucerne, singing Lucerne In The Sky With Diamonds, and giggling to myself at the clever, clever pun (internally laughing. Outwardly I was stoic, I didn't want to appear too jolly in front of the Swiss). When out of the corner of my eye I spotted a majestic swan, swanning out in the middle of the lake. I sat down on the bank, and started taking his picture. Suddenly he started swimming slowly towards me. He slid up right beside me. I kept taking photos the whole time. 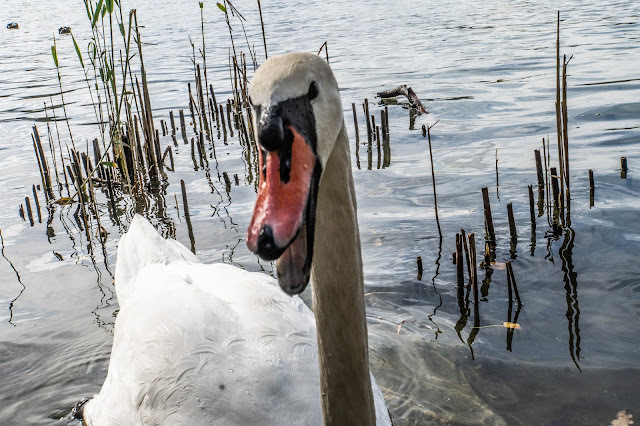 He seemed as happy as a clam, or a swan, or a swan clam, whatever combination denotes super happy fun times in the animal kingdom. He mugged for the camera, turning his head this way, and that way. At one point in time I was going to ask him to do duck lips, but then I realized that was likely racist and culturally insensitive in the avian world, so I didn't. I spoke sternly, and told him that if he wanted this model shoot to continue he would have to behave himself, learn some manners, and generally be civil. Otherwise it wasn't worth the money I was getting paid (to be fair we were both just working for exposure). Eventually he calmed down, and I clocked in this masterful (if I do say so myself), portrait. 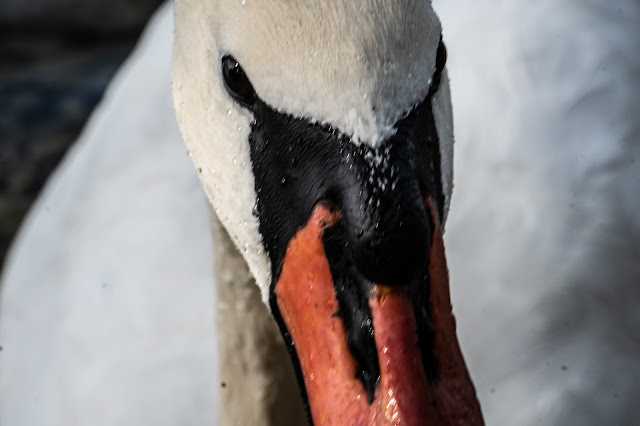 After that, Mr "I don't like closeups", swam away. He left so quickly he didn't leave any contact information for me to send his prints, so I hope he gets the chance to read this post. 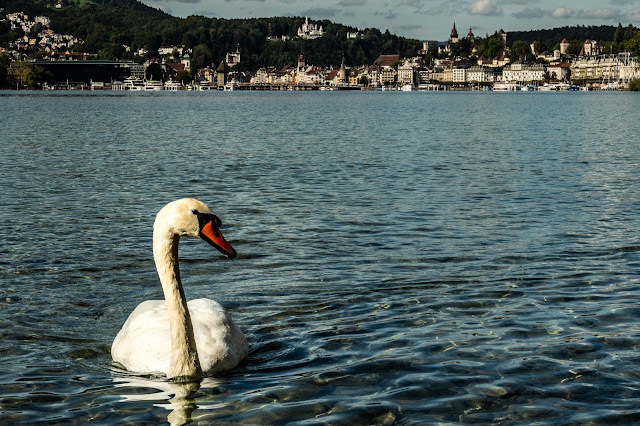 Until then, this image will be the last memory I had of the time that I shot a Swan up close in Lucerne.